Bill Boardman - Haig Barrett, Inc.
Bill is a Managing Director, Product and Market Innovation for The StratOps Group, a consultancy to companies participating in the consumer products and MedTech value chains. Throughout his career, Bill has led complex assignments transcending science, technology, and business resulting in new innovative product, market entry, and new adjacent business for clients. Bill specializes in advanced engineering, advanced sales, and strategic business development. He has worked with many of the world’s leading companies including Johnson & Johnson, Bayer, PepsiCo, Colgate Palmolive, and the Bell Laboratories among others including strategic investors. 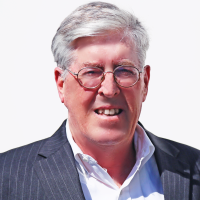 Prior to forming The StratOps Group, Bill led Arthur D. Little’s Technology and Innovation Management practice in North America and spent several years with Ernst & Young’s Northeast Management Consulting operation. He started his career within Honeywell’s Aerospace business group.